Although Barcelona are reportedly still keen on Ajax defender Matthijs de Ligt, they are said to be more focused on two other positions first. 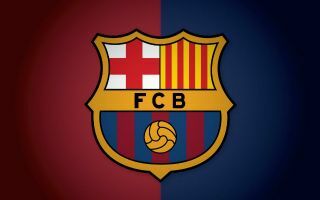 Coach Ernesto Valverde appears set to guide his side to further success this season, as they continue to lead the way in La Liga, are in the Copa del Rey semi-finals and will return to Champions League action this month. In turn, he’ll arguably be looking for players capable of providing a real jump in quality as well as long-term solutions if additions are made, as he’ll surely want to avoid disrupting the balance in the squad where possible. According to Mundo Deportivo, although De Ligt is still on their radar, they want to prioritise signing a striker and a back-up option to Jordi Alba. In truth, it has to be said that is sensible from the Catalan giants, as those are two areas in which they are dangerously light in terms of quality depth, and so they are right to be focusing on those positions, as per the report. Mundo Deportivo have previously reported that De Ligt could be valued at €68m or over, and so that would undoubtedly take a major portion of their summer transfer budget. With that in mind, bringing in a striker and left back before considering the Ajax starlet has to be the right approach, while there could yet be exits elsewhere which will raise funds to allow them to complete their desired business. As noted by BBC Sport, Barca are already set to sign Frenkie de Jong from Ajax in a deal worth €75m+ this summer, and so time will tell whether or not he is joined by his current Dutch teammate at the Nou camp ahead of next season.